Last week I posted about my Homemade Face Mask recipe, which I really love to do once a week these days. It draws out all of the toxins and dirt and leaves my skin clean. But you also need to use a homemade face scrub with tea tree oil for acne once or twice a week to rejuvenate the skin and get rid of the dead skin. Find out other tea tree uses here! 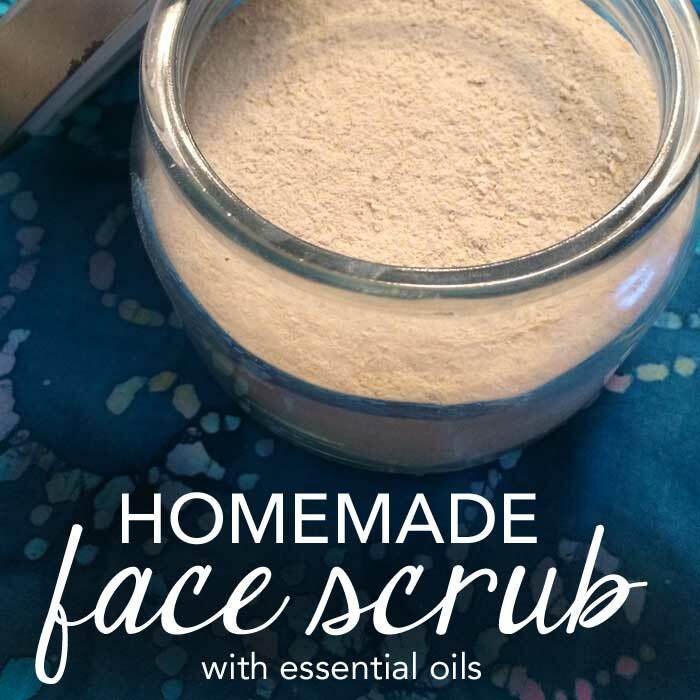 This homemade face scrub helps your skin look brighter by getting rid of dry skin on top and soothing and healing the skin underneath. Oats are effective in fighting dull, flaky dryness as they contain polysaccharides, which become gelatinous in water. They form a fine protective film when applied on skin. It acts as a natural moisturizer by removing the dead skin cells. It contains beta-glucan that forms a fine film on your skin as well as penetrates deep into the skin to provide much needed deep moisturizing to your skin. Oatmeal enhances wound healing and shallow abrasions and improves collagen deposition and activation of immune cells within the skin. Yellow corn is a rich source of beta-carotene which forms vitamin A that is vital for the maintenance of healthy skin. Vitamin C and lycopene are potential antioxidants that prevent the UV generated free radicals from damaging the skin and increase the production of collagen that assists in the maintenance of smooth skin. Besides being eaten, corn can also be applied topically as corn oil which is a rich source of linoleic acid. Lemongrass will help limit bacterial or microbial growth on the skin. Lemongrass also acts as an astringent, which constricts the skin. This helps to minimize pores, limit the secretions of oil and provide a temporary skin-firming treatment. Geranium oil helps with dry skin and also wrinkles. This healing essential oil can comfort and beautify the appearance of skin. Tea tree reduces sebum production by the skin. Grind the oats in a blender or food processor until fine. They need to be ground very fine so they make a smooth paste when you add water. 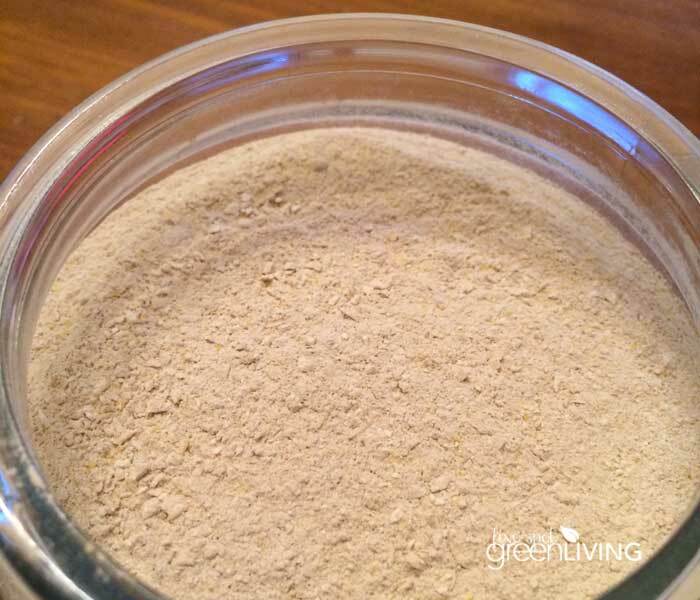 Using a metal spoon, stir together the oats, cornmeal and clay in a glass or ceramic bowl. Drop in the essential oils, placing each drop in a separate spot to distribute. Stir (or shake) until thoroughly mixed. Make sure the oils are mixed and not just balled up in the dry mixture. If this happens, just smoosh them with the back of a spoon. To use, mix a heaping tablespoon of the scrub with enough warm water to make a paste. Just put a bit into your palm and use your finger to mix it. Massage the facial scrub into your skin using gentle circular motions. Let sit for a minute or two and then rinse with warm water. Use moisturizer as needed. Oh I love recipes that use EOs. I use baking soda as an exfoliate but it can be a little harsh on my sensitive skin. Will try oatmeal! Thanks for the tip! I’m always afraid to put so much “oil” on my face. It’s naturally greasy —and adding more oil scares me. Should I not be afraid? 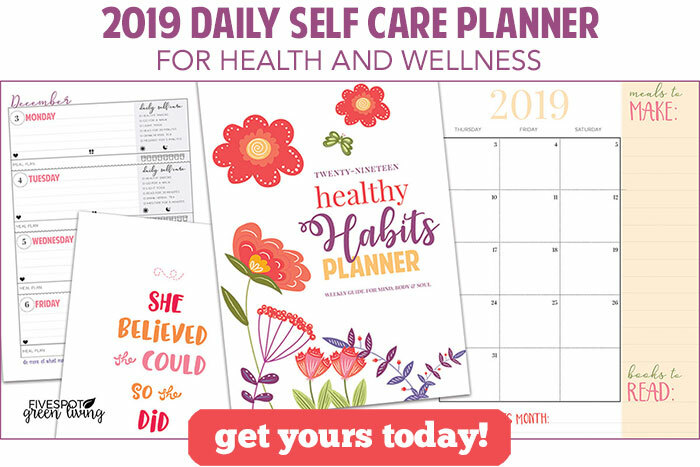 Hi Eydie – Don’t be afraid! Anyway, this face scrub is a dry scrub. The essential oils just add the necessary health benefits to make your skin more beautiful! So glad I came across this. I am so in need for some beauty and mommy time! Yes Amanda! I know it’s so hard to take time for yourself, but this one is worth it AND will only take a few minutes. I love how soft my face is after I use this scrub. I need to remember to put a scoop in the jar, though! I will try this because ever since I developed my hypothyroidism, my skin has become dry. I think I need to put down an old towel if I’m going to scrub my whole body with this. 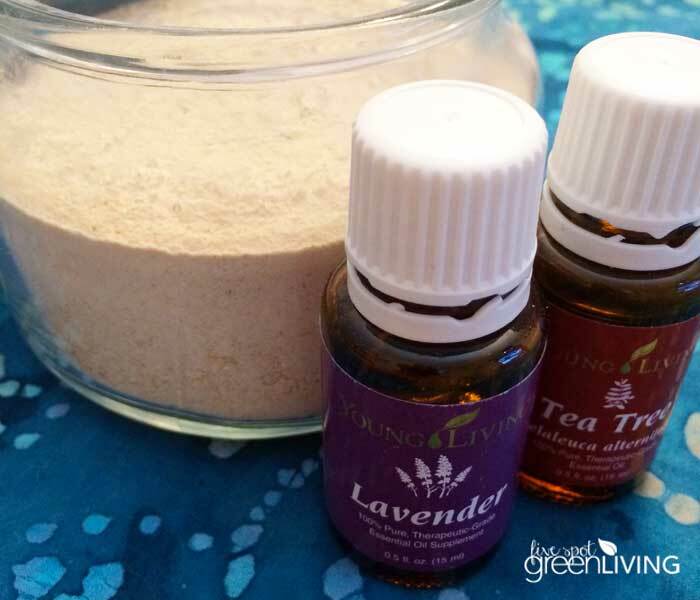 I love our essential oils and would love to try this recipe! Thanks!